Acquisition of a technology portfolio and innovation team from U.S. based NuLabel Technologies, Inc. NuLabel develops engineering and material science solutions to improve packaging design while using significantly less material. The specialty chemicals Group ALTANA has acquired a technology portfolio and research and development platform from U.S. based NuLabel Technologies, Inc. It comprises innovative technologies for additive manufacturing of sustainable decoration solutions as well as novel technology for resealable packaging. The environmentally friendly technologies allow for unique packaging design that uses considerably lower quantities of consumable materials. The acquired technologies will be integrated into ALTANA’s ACTEGA North America division, where they are to be developed to market maturity. ALTANA has also taken over an interdisciplinary team of researchers. The parties have agreed not to disclose the purchase price. “We are very pleased to have found a new owner in ALTANA who is in a position to integrate our innovation pipeline into its core business and to bring it to market readiness,“ said Benjamin Lux, President of NuLabel Technologies, Inc. “We know that our innovation team and our technology solutions are in the best of hands with ACTEGA, a company that has long-standing experience as a leader of new and sustainable technologies for the packaging industry.“ Mr. Lux will join the ACTEGA North America team and industry veteran Harold Schofield will continue leading NuLabel as interim CEO. 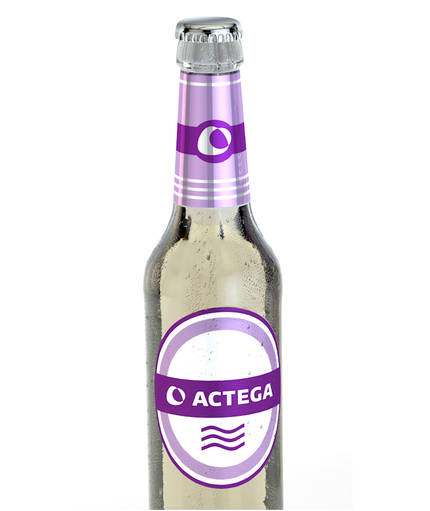 ACTEGA North America has added a dual cure, UV and LED, flexo ink system to their ACTExact family, designed specifically to meet the requirements of both LED and UV curing systems on press. ACTExact UV LED Flexo Ink system is formulated to reduce ink spitting and the resulting challenges. ACTEGA, a global market leader in coatings, inks and primers serving the digital print and packaging industries, has announced a new aqueous primer, ACTDigi LEP Primer AQ1409610 for use in- line with the HP Indigo 30000 Digital Press for digital folding carton production. ACTEGA North America has purchased and installed a Mark Andy Performance Series P5, 13- inch flexographic press at its Twin Lakes R&D facility in Charlotte, N.C. The press has six print stations and a rail system currently carrying a Stork rotary screen unit, inline lamination and die cutting add-ons. The press will be used to accelerate the development, scale up and launch of new inks, coatings and adhesives as well as supporting customer focused projects. ACTEGA provides a broad product portfolio for the different digital printing processes as well as customer applications. Whether UV or water-based coatings and primers, the brand ACTDigi includes innovative solutions for labels, packaging and commercial prints. For use on food packaging various certified products are offered. 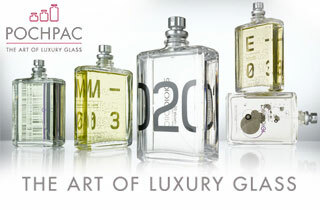 ACTEGA is one of just a few companies whose products have a daily effect upon the lives of consumers. The functionality, integrity and finished look of many of the packaging products which consumers use day in and out can be traced back to ACTEGA, ensuring product safety and performance. Jim Zawicki and William Allen at ACTEGA North America offer an instructive insight into how the company's offering has become fundamental for safe product performance as well as significantly enhancing shelf appeal. The Coating Wheel is a variation of the Packaging Wheel that has a specific setup of benefits defined for the evaluation and comparison of ACTEGA's overprint varnish packaging coatings. The wheel highlights 12 benefits for the advancement of packaging solutions. MotionCoat is a unique technology developed by ACTEGA to create motion effects on a package. Multi Packaging Solutions (MPS), a division of WestRock, recognized early on, the impact that the MotionCoat™ technology could bring to package design. MPS developed a portfolio of designs to showcase the effect for their brand owner customers. ACTEGA North America will feature Aquaprint® In-mold coatings, ACTExact® UV Flexo Ink Systems, ACTDigi® Narrow Web In-line coatings and primers and special effects coatings at Labelexpo Americas 2018. ACTEGA will introduce its guests at Labelexpo Americas to a wide array of innovative ink, coating, adhesive and primer technologies that functionally and aesthetically enhance label and packaging solutions at this year’s show. ACTEGA North America has enhanced its offering to customers by adding RAD-BOND L2001 RAAL10026 into its product portfolio. RAD-BOND L2001 RAAL10026 is a UV-curable, laminating adhesive designed to yield excellent bond strength in various film to film and paper applications, being ideal for BOPP-to-BOPP and BOPP-to-paper applications. ACTEGA North America have increased prices on Inks, Coatings, Adhesives and Pressroom Chemicals in response to the continuing and sustained rise in raw material and supply chain costs. This increase applies to products sold into all printing markets. ACTEGA North America, a market leader in the innovation of specialty coatings and chemicals, is proud to announce the addition of MotionCoat to its specialty coatings portfolio. MotionCoat is a patent pending UV coating system that when used in conjunction with vector based artwork creates an amazing motion-like image. ACTEGA Terra, producer of overprint varnishes for packaging, labels and commercial prints, announces the adjustment of selling prices up to 10% in April 2017. ACTEGA North America, a member of global specialty ink, coatings, and sealants company Altana AG, is launching a line of UV shrink inks to enhance its popular ACTExact system. ACTEGA North America, a member of global specialty ink, coatings, and sealants company Alltana AG, announces the addition of a new UV Laminating Adhesive line to its diverse product portfolio for the label market. Premiere for the Coating Wheel. For the first time, ACTEGA presents this new evaluation and working tool for finishing combinations and their end-uses. Where? At interpack 2017 in hall 11, booth A12 from the 4th to the 10th of May. KBA-Sheetfed, the world's second-largest manufacturer of sheetfed offset printing presses, and ACTEGA Coatings & Sealants, a division of the global speciality chemicals group Altana, have forged a strategic alliance in the field of inline finishing. ACTEGA WIT and ACTEGA Kelstar merge to become ACTEGA North America, Inc.
ACTEGA WIT and ACTEGA Kelstar, leading manufacturers in the innovation of inks, coatings and adhesives for packaging and printing markets, announce the formal merger of the two legal entities to form ACTEGA North America, Inc.